BP: Indonesia's Coal Consumption has Doubled Since 2010 | Watts Up With That? “Last year, Indonesia’s exports for coal fell sharply. The reason was because the global demand decreased at that time, during which China, one of the country’s key markets for coal exports, cut its use of coal,” Dale said. He added that over the past 10 years, growth in global coal demand had been driven by China. However, China’s economy has shifted away from coal to using cleaner, lower carbon fuel sources such as renewable energy and natural gas. Its worth noting that a lot of that “cleaner” Chinese fuel comes from coal gasification – a carbon intensive process which literally discards half the coal as waste CO2 before the generated gas gets anywhere near a power plant, using variations of the following reaction. These plants are part of China’s plan to alleviate air pollution in its smoggiest cities by reducing coal use in these areas by 2017, instead using gas from coal produced miles away. According to the Chinese state-owned power companies, these plants are considered “clean energy” or “new energy.” To achieve cleaner air in the cities through gasification, net carbon dioxide emissions will increase, while water scarcity may result from a gasification process that uses a great deal of water. In coal gasification, a technology that has been around for decades, coal is chemically transformed into synthetic natural gas (SNG). China, with its vast coal resources, is using SNG for power generation and to reduce its dependency on imported liquefied natural gas (LNG). China’s National Energy Administration plans to produce 50 billion cubic meters of gas from coal by 2020, enough to satisfy more than 10 percent of China’s total gas demand. It not only makes economic sense – it also allows China to exploit its coal deposits that are located thousands of miles from the country’s main industrial centers and to solve local pollution problems. [ii] In addition, transporting the natural gas to demand centers is cheaper than transporting the coal and using it directly. Of course China hasn’t given up on coal – as WUWT recently reported, on the first day of the Marrakesh COP22 Conference, the Chinese Government announced a three year programme to increase coal capacity by 20%, an entire Canada worth of coal output. Click here to see the BP Statistical Review 2016 (page 33 details the rise of Indonesian coal consumption). Lets not forget that China is now hailed as the moral leader of the climate movement. November 16, 2016 in Coal. I think it is quite possible that Donald Trump may kill CAGW but the UN is ready. Listen when Obama says the the mousquito is the cause of death. Who was it who stopped the DDT program then? And Griff quotes SA! Too funny, too funny! Well all I can do is to refer to the history. Beginning with this book. Read the summary by Amazon. It appears that the Chinese and Indonesians care about having a working electrical system. “Synthetic natural gas”. Is that an oxymoron? Maybe we need to use the term “natural natural gas” to differentiate? Or just stutter. But then people would think your talking about your grandmother’s flatulence. It used to be called “city gas” or “coal gas” IIRC. Makes sense when you are a country who is running around 7% GDP growth, endeavouring and succeeding in pulling millions out of abject poverty into prosperity, wealth and health. Good luck to them. I live amongst them and they are a wonderful people who deserve all the wealth and abundance that the little black rock of wonder – coal – delivers. Indonesia showing the way! More sense than Germany, UK, Australia, etc. Chinese coal use has actually fallen and the new 5 year plan reduces the number of coal plants planned to be built, plus sets and earlier date for stopping coal plant growth. China just boosted its coal imports griff, up 19% by 2020. Why do you feel the need to lie? And ‘reducing the number of coal plants to be built’ does NOT reduce the increasing amount of CO2 from the plants that are and will be built. Nothing you have claimed does anything to reduce the massive ongoing increase of CO2 by China over the next 4 years. Ha ha,it was right in front of you.You as usual behind the curve. Also, using coal to make SNG (methane), emitting CO2 in the subjugated Western provinces, then using the SNG to produce electricity near population centers to reduce air pollution. China then takes credit for using “cleaner” SNG to replace older, “dirty” coal-fired plants. Griffie believes everything the Chicoms and watermelon NGOs tell him. Coal fired power stations should be promoted in Africa. Mountains of coal in Tanzania would generate economic prosperity on this continent. Mass migration to Europe would stop and potential migrants could make a future for themselves in their home countries. Follow Indonesia’s lead. 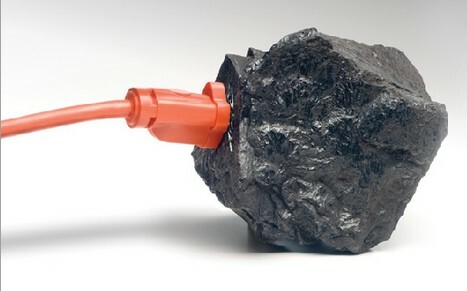 Donald Trump will re-establish coal as the principle source of electrical power generation ridding the landscape of ugly wind farms and the need for land consuming solar panels. Unfortunately, not too good on the scrubbers! These power stations of course would include flue gas desulphurisation and electrostatic precipitation of fly ash. “As Indonesia, the world’s fifth-largest coal producer, continues to struggle in dealing with land and forest fires, it has expressed its commitment to reduce its dependence on coal in its first nationally defined contribution (NDC) reported to the COP21. Aiming to cut emissions by 29 percent by 2030 through its own efforts and 41 percent with international cooperation, Indonesia has pledged in its action plan to reduce energy supply supported by coal to a minimum of 30 percent in 2025 and 25 percent in 2050. Started how? We know people start these fires. yes – palm oil producers quite often. CH4 + 2O2 -> CO2 + 2H2O giving the exact same amount of water needed for the gassification process. The bigger water issue is going to be the cooling tower. Also, if you move from 30% efficient thermal coal to 60% efficient CCGT then who gives a flip if you threw away half the carbon? Your MWh/ton is exactly the same as it was before. And when you convert coal to methane + CO2 you generate heat. I don’t know exactly how much heat, but it is likely enough to recover part of it in the steam cycle of a CCGT plant. The process is (granted) more expensive than traditional thermal coal, but the whole point of the project is to reduce the amount of garbage in Chinese air. This can be accomplished through scrubbers, Nat Gas, Coal Gas, renewables, or likely other ways too. Given that they are moving the plants anyway I am not convinced by this article that a gasification process is a bad option. In other words – If you think the gasification process is less than optimal then pitch your own and demonstrate how it is better. I think I’ve misunderstood your comment about the waste heat. I think that you are suggesting recovering the waste produced at the gasification plant (in Inner Mongolia, for example), at the CCGT plant in Beijing? How do you propose to do that? Then you are looking at Btu to MWh similar to conventional coal, if not better. Perhaps at a higher price, but keep in mind this project is not pitched to lower cost but to remove all the toxins in the air. When compared to other proposals aimed at that end I don’t see this one as particularly flawed. I think he meant recovering it at the gasification site, not remotely. It wouldn’t make sense otherwise. “About 55.7 percent” Don’t you just love the imprescision? This is the logical path for similar poor developing countries who are not subject to making cuts in “carbon”. The boost fossil fuel usage to max, then apply for money from the Green Slush Fund to stop doing it. The more you are currently doing , the more you can get by stopping to do it. necessarily what it can produce during a day’s operation. Personally, I consider all plans concerning power plants to be obsolete at this point, with the advent of molten salt nuclear reactors close at hand. Even the Chinese have been rushing to develop this most revolutionary power technology. If nothing else , sheer economcs will force the adoption of these plants globally. Political leaders can talk all they want about an energy future that will not and cannot possibly exist. Silly, pompous, ignorant folk. The Chinese 5 year plan on energy was published this week and differs from your forecast, with no let up on renewables. After 58 years (1958 to 2016) one can neither see, find or detect a “human signature” in the Mauna Loa CO2 record. And even though the outgassing of CO2 as a result of microbial decomposition of dead biomass is far greater than the human caused outgassing of CO2, …… after 58 years (1958 to 2016) one can neither see, find or detect a “microbial signature” in the Mauna Loa CO2 record. Mr Cogar – can you provide some citations to reputable, peer-reviewed documents that support your claims? I’m most assuredly NOT disagreeing with you – I’d like the objective evidence to present to some PhDs in another discussion group who are positively, 100% assured (not a mere 97%) that the human signature is proven by the increasing ratio of C12 to C13/C14. And R-E Jim, as far as I am concerned, …… your PhD friends in another discussion group are “stuck on stupid” …… and whether it is nurtured or intentional, ……. being “stupid” is probably in their best interest iffen they want to continue receiving a “paycheck”. R-E Jim, your friendly PhDs claim that the ….. “increasing ratio of atmospheric 12CO2 to 13CO2” …… is proof of a CO2 “human signature” emission …… is little more than pure BS or “junk science” and is no more based in actual, factual science than is their “junk science” claim that the October to mid-May average 6 ppm increase in atmospheric CO2 is DIRECTLY the result of microbial decomposition of dead biomass in the Northern Hemisphere. “DUH”, dead biomass does not easily decompose when kept in your “home” refrigerator/freezer. Now Xxxxxxx, I was justa thinking …. that prior to the advent of the Industrial Revolution the Northern Hemisphere non-polar land masses were highly vegetated with massive forests of woody trees in the Temperate Zones and a mix of vegetation in the Tropic and Sub-Tropic Zones. But that all began to change in the early 1800’s when those great forests began being “clear-cut” of their virgin timber and the sawed lumber was used to build homes and businesses locally but the majority was shipped by water and rail to build the great cities and factories for the increasing population of laborers and workers. And the land from which that timber was cut was then cleared of all tree stumps, rocks and brush and was used to raise cattle, sheep, chickens, goats, geese and horses, …… and also used to grow food to feed those animals, to feed one’s family and to feed the increasing populations in the great cities. And that process continued well into the early 1900’s as urbanization of the cities increased and then in the mid-1900’s suburbanation of the farm land began. Said suburbanation became possible because starting in the early 1940’s the “family farms” began disappearing like snowflakes on a hot pavement and the woody trees and other greenery started growing again with gusto and the landscape has now become much “greener” with woody trees, etc., than it was pre-1940. “Differences in altitude are also known to affect terrestrial plant carbon isotopic signatures (δ13C) in mountain regions, since plant δ13C values at high altitudes are typically enriched (Körner et al. 1988; 1991) compared to the carbon signatures of plants from low altitudes. Soil organic matter also show enrichment in 13C with soil depth, which is suggested to be a consequence of humification and the loss of the lighter isotope (12C) via respiration, thus concentrating 13C in the soil organic matter (Kramer et al. 2003). This might be transitional to temperature and differences in decomposition. So there you have it, R-E Jim, the re-growth of the forests are sequestering the C13 in the soils and their respiration is emitting the C12 back into the atmosphere ….. and that is potentially where your declining δ13C level is coming from. But what do I know, I’m not a PHD degreed expert like your PhDs friends in another discussion group. ……………………. and computer logician, designer, programmer extraordinaire. Ever since the early 1960s, atmospheric scientists have known that carbon dioxide levels in the atmosphere are on the rise. We know that this increase is caused by burning of fossil fuels – coal, oil and natural gas – which emit carbon dioxide into the air. While terrestrial plants “dislike” 13C, ocean exchange does not prefer 12C or 13C. Lauren Shoemaker would have been more believable iffen she had cited the Flying Spaghetti Monster as her source of factual science. In the second article, it states that “China, with its vast coal resources, …”. If the PRC has “vast coal resources”, why does it import coal from the US and, according to our antipodean correspondents, from Oz? China imports “coking” coal for steel making because their coal is only suitable for power generation. They take most of the coal from New Zealand for this purpose as well. China is aggressively importing minerals and coal from mines it controls around the world. A very smart policy. This way they can save their (not inconsiderable) domestic resources for future use…maybe when geopolitical tensions are higher and sea lane access for China is restricted. The Chinese are not stupid! Why shouldn’t China be the moral leader? In the world of progressives, what you SAY is all that counts. You can DO anything. Just SAY the right things and you’re the most moral of all. It’s how these things work. Not in the real world, of course, but we are not talking the real world here. Well, that’s the thing – there’s no power source as effective as fossil fuels – not remotely. And if we hamstring ourselves by forsaking them out of some misplaced piety, we’re just simply handing off the economic advantage to countries that will… and they WILL. And then they will be the new world power. Just that simple. It’s Darwin.